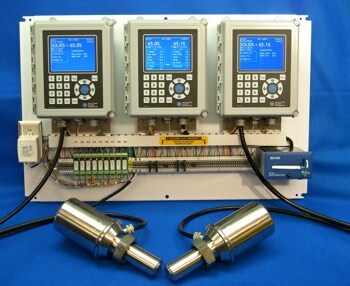 The MDS Monitor Divert System is a BLRBAC compliant Black Liquor solids monitoring system designed specifically for Black Liquor recovery boilers. 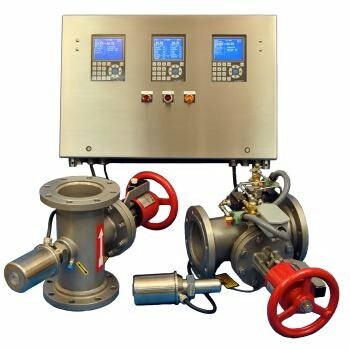 Electron Machine Corporation’s RSP Remote Status Panel is a valuable tool providing both Operators and Technicians key information for the real-time status of all vital parameters in the convenience of the control room. 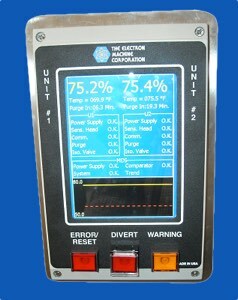 The RSP ultimately provides for safer black liquor firing, a reduction in un-necessary diversions, and faster diagnosis when a problem occurs.